Written by gabriele on 18 August 2017 . Posted in Wedding Galleries. Wedding gown, dreamy portraits, and dusty light. All look so dreamy and fantasizing. Wedding photographer Tuscany Italy will love to shoot your wedding day under the Tuscan sun. Who won’t like to make their wedding day more intimate and pleasing? Here we will be presenting a wedding photo shoot of Kelsey & Travis from Minnesota, who have celebrated the as minimal as 10 guests on their wedding day. Check out all the dreamy and fantasizing shoots of their special day. The destination was San Gimignano, a small and beautiful town located in the center of Tuscany. The city is located in the top of the hill, portraying a perfectly romantic and intimate wedding destination for the couples. 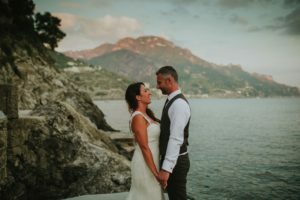 Wedding photographer Tuscany Italy is blessed to be part of their wedding day, and are utterly thankful the couple Kelsey&Travis for availing our services. View the venue Guardastelle – San Gimignano accurately fitted for the couple willing to make their wedding day more special and simpler for the small family get-together. The place was magical with romantic and simpler celebration. The wedding took place under the sun and in a place having a plentiful natural beauty. The wedding had so many aww and emotional moments for both the bride and groom. Choosing Tuscany for your wedding shoot will be a perfect reason, due to the countless reasons. While the most convincing point will be due to its intimate, affectionate, cozier and dreamy nature. The Wedding photographer Tuscany Italy will do their work with the perfection making your day more memorable and beautiful indeed. Both bride and groom look so beautiful and seem to be made for each other. Bride with the elegant dress having a v-neck and veil flying dress look heavenly beautiful, while the groom in a black suit looks damn elegant and sophisticated. The wedding theme was also so perfect having roses, vibrant arrays and all this under the sun of a Tuscany that is known for the beauty of its place. The imagination will come true and both the couple will have the experience that is unmatchable and utterly amazing for the lovebirds. Giving out this magical trip a try for your wedding will be a perfect decision, that will result in the countless alluring memories and a few emotional moments. Unlike traditional weddings, destination weddings are stress-free, more peaceful, romantic and economical. Therefore, many people are opting towards it, and choose the exotic and romantic place, and only call few family members to be the part of it. many destinations have various resorts that offer different packages and services. Finding a perfect destination photographer is often difficult to find, that can find the true meaning of your special day, and capture all the special and emotional moments of yours. 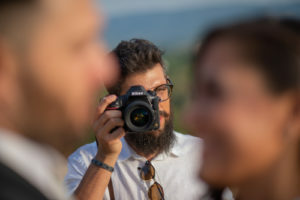 But Wedding photographer Tuscany Italy have the expertise and true passion for the destination wedding and will give a perfect shoot for your special day.